As part of our Pathfinder work, BPV was asked to work with the Early Support Consortium to work with a number of families to follow their journeys. 16 families took part in this project. There was much laughter and some tears along the way. Our thanks go to the all the families that took part and to the Maypole Project and Bromley Mencap for helping to support this important piece of work. The learning from this project has been submitted to the Department for Education as a national case study and will be used to inform service planning and delivery at both a local and national level. 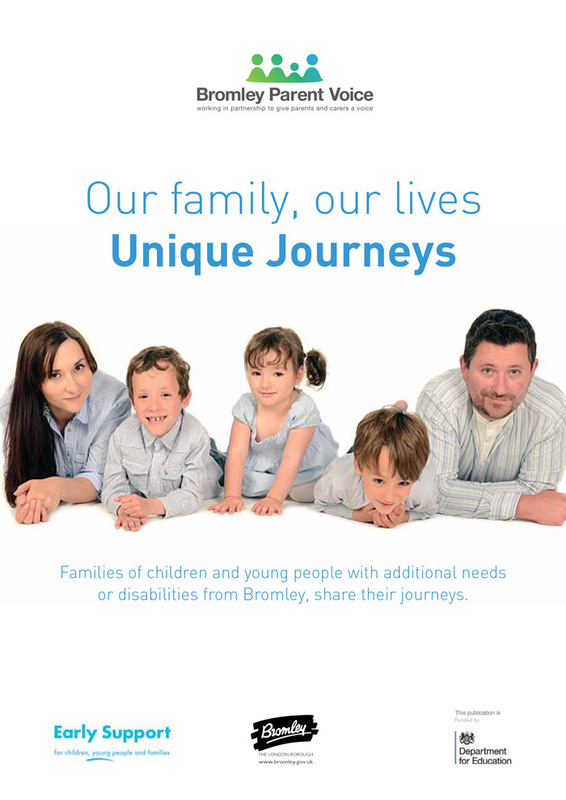 We have produced a book and film which will be used to empower parents and to inform service providers of the needs of families of disabled children. You can download the book here and watch the film here.